"After 30 years and with more than 1 million examples sold, Mazda feels that the MX-5 is no longer its own creation", Mazda says in a statement. 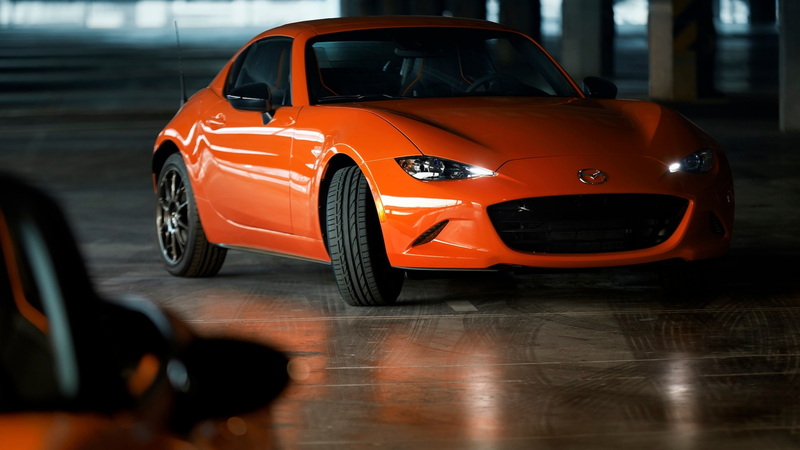 What's New: To celebrate three decades since the world first clapped eyes on the NA Miata, Mazda has given its latest special edition sports vehicle an exclusive coat of orange paint imaginatively dubbed Racing Orange. The 30th Anniversary Edition model is based on the sporty Club trim level (specifically, the Club with the BBS/Brembo/Recaro package), which adds performance features such as Bilstein dampers and a limited-slip diff. The first noticeable new feature is the exclusive Racing Orange exterior paint color. The orange outer shell carries forth on the inside with orange interior louvers and orange piping on the heated alcantara RECARO sports seats. To offset some of the orange, the 17-inch Rays ZE40 wheels are painted a dark gunmetal grey. Australia will receive just 30 units of the 30 Anniversary Edition, with all of these being the Roadster GT as opposed to the RF. A Bose sound system is also along for the ride, and the Mazda Connect infotainment system has both Apple CarPlay and Android Auto standard. The new 30 Anniversary Edition has come at an opportune time in the MX-5's lifespan, as the current ND generation has arguably made a close to its NA roots. Under the hood remains the familiar 2.0-liter SkyActiv four-cylinder engine. If you want the soft top, it'll be $34,995, and if you want the RF, you're looking at $37,595. Just 3 000 cars will be produced globally, and fittingly for one of the world's biggest MX-5 markets, the United Kingdom will receive 600 - 400 convertible and 200 RF.